Do Kids Outgrow Teeth Grinding? Teeth grinding, also known as bruxism, is very common in children. Teeth grinding is the act of clenching or grinding one’s teeth at any point in the day and can be conscious or unconscious. Teeth grinding is not an issue to be overlooked as it can ruin your child’s limited amount of teeth enamel. Eventually, it can lead to tooth breakage. It can also cause a myriad of health problems, including headaches, earaches, facial pain and problems with your child’s jaw as it puts a lot of stress on the temporomandibular joint. The cause of teeth grinding is unclear, but it is thought that misaligned or crooked teeth could be a possible cause. Alternatively, it is also believed that some children grind their teeth because they are in pain while others might do it as a response to anxiety or stressful situations. It can also be a response to hyperactivity, cerebral palsy or as a reaction to certain medications. Most children will eventually outgrow teeth grinding. If it is is linked to a more serious disorder, however, this may not necessarily be the case. What Can Be Done About Teeth Grinding? Diagnosing bruxism can be difficult because sometimes children may not even be aware that they are grinding their teeth. If your child is complaining about jaw pain or has pain when chewing, these are signs that your child might have bruxism. If you suspect that tooth grinding might be the case, check on your child in the middle of the night to see if he or she makes grinding noises as they sleep. It is important to also continuously monitor the state of your child’s teeth to ensure that they aren’t chipping their teeth or destroying their enamel. It is particularly important to address the root cause of your child’s teeth grinding if you conclude that they are grinding their teeth while simultaneously experiencing negative emotions such as anxiety or anger. Consider addressing these emotions through stress-relieving tactics and where possible, seek professional help if your child has a lot of anxiety. If you suspect that your child has been suffering from bruxism, it is imperative to contact your dental health professional to confirm whether or not your child has the condition. This is true even if your child still has his or her primary teeth. 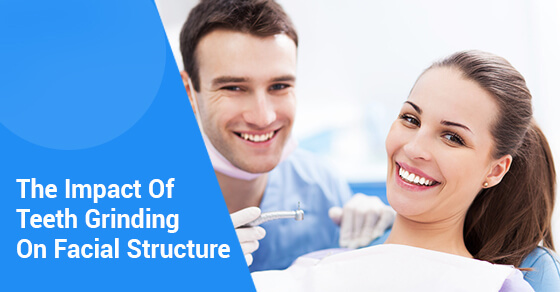 Your dentist will diagnose and offer treatment to prevent further issues. This will include a customized night guard to protect teeth. Dawson Dental loves kids. If you suspect your child is grinding his or her teeth, contact our team of professionals today. We offer tailored services for children, including a trip to the treasure chest.